ATLUS and Old School Games announced this week that they will partner to develop R.I.P.D. (Rest In Peace Department) - a downloadable game for Steam, Xbox LIVE Arcade and PlayStation Network based on the upcoming 3D supernatural action-adventure, R.I.P.D., in theaters July 19, 2013. Players will take up the holsters of two lawmen dispatched to the otherworld to protect and serve the living from an increasingly destructive array of souls who refuse to move peacefully to the other side. "R.I.P.D. : The Game" will be a two-person co-op shooter releasing this summer for $9.99 on PC and PlayStation Network, and for 800 MSP on Xbox LIVE. Check out a few of the latest screenshots straight from E3 below, and then head on over to the 360-HQ video games database to view the complete set. "Being able to create the game for the R.I.P.D. movie is a huge honor," said Matthew Karch, president, Old School Games. "Our past development experience in the action-shooter genre is a tailor-made fit to adapt this exciting film to the interactive space." 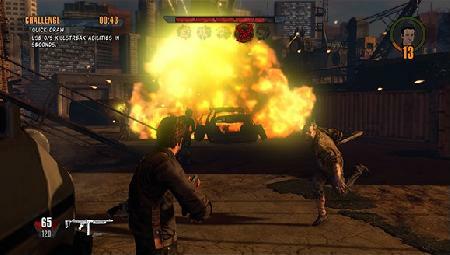 Film Authenticity - Working directly with Universal, Old School received ongoing access to the movie materials so that players could experience a faithful adaptation of the unique world of R.I.P.D., including environments, enemies, weaponry, effects and humor from the film. 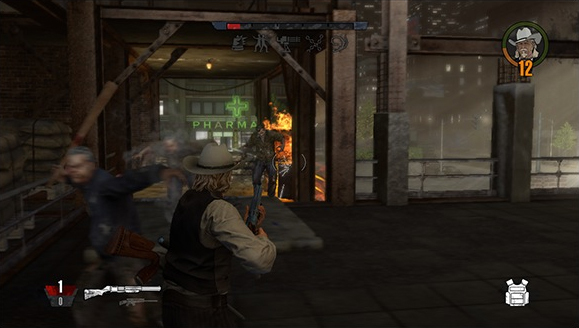 Partner with your Friends Online - Two-player online co-op allows wanna-be gunslingers to use teamwork as they battle their way through the game. Your enemies won't have a chance against the right team strategy. 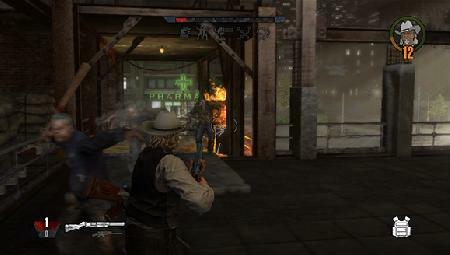 Over the Top Action - Gunslingers will blast, impale, explode, and arrest enemies just as the heroes do in the film. Unique In-Game Betting System - Co-op partners can put their in-game currency where their mouth is with a new feature that allows them to bet on who's a better R.I.P.D. officer. Measured by which player can capture the most enemies, who can stay standing the longest, and other action-packed challenges, the virtual betting system allows players to always keep the stakes high.